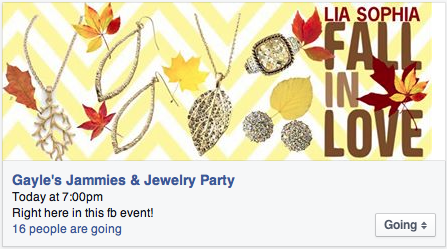 So, I'm totally obsessed with Lia Sophia jewelry and I'm hosting a Facebook party (actually the "party" part is over). The party will be open until Saturday at noon, so if you're in need of some sweet new jewelry that comes with a lifetime guarantee, come look through the party stuff or just contact me for the link. Just wanted to put this out there. Lia Sophia is one of those things you can only get through someone who sells it (like Mary Kay, etc), so here's your chance!